This product is 100% water soluble, organic kelp extract. Not to be confused with kelp meal, this product is highly potent allowing for 500g/ acre or 1kg to be used over 10,000m2. It is 100% water soluble and therefore perfect for hydroponics nutrients, mixing directly into soil, or diluting with water and spraying directly on the foliage. As a certified organic product, Organica has sourced out the most natural and potent product available, that has been proven to show results! 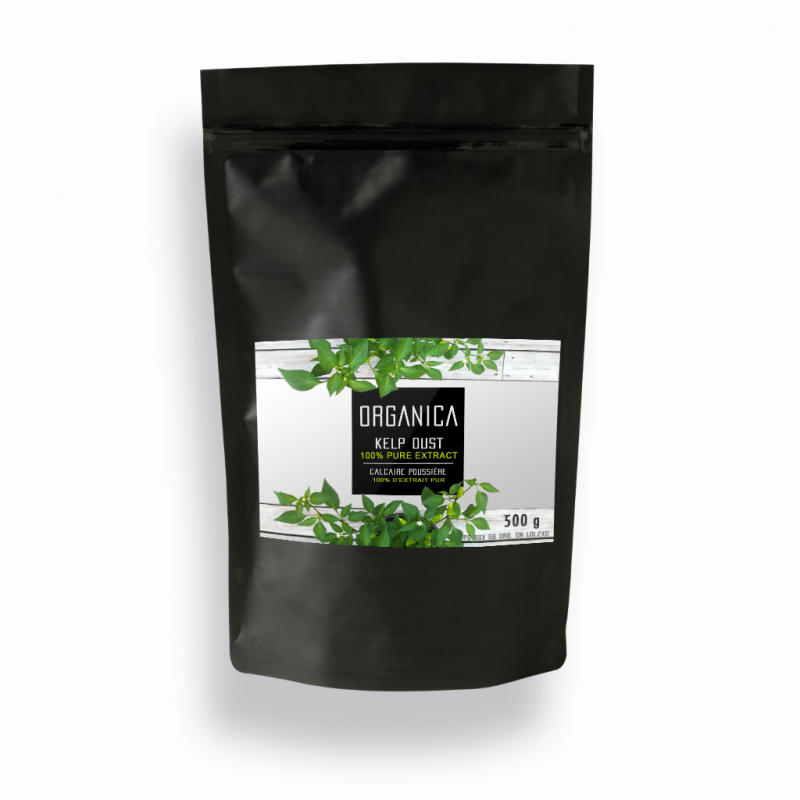 Rest assured that this 100% organic extract will maximize your yield, and allow for plants and vegetation to produce luscious green foliage and larger fruit. ASK US about our custom sizes for Larger orders. Dilute 1 g (1/4 tsp) of Kelp Dust with 2.5 - 3.0 L of water. Spray or water plants or vegetation 4-5 times throughout growing season or after picking. For larger volume use: Dissolve 10 g (2.5 tsp) of Kelp Dust in 100 ml of Water. Then add 10ml of stock to 2.5 - 3.0 L of water as final spraying/ watering solution. Keep refrigerated. For best results, spray vegetation in the early morning or evening. Add 1 g of Kelp Dust to every 10 L of solution (1:10,000). Replenish weekly or as needed. Do not addd directly to stock solution. Kelp Dust can be added directly into the planting medium/ substrate at 2:100. Mix thoroughly before use. Kelp Dust is 100% soluble in water making it perfect for drip irrigation. Introduce Kelp dust into a drip irrigation system though a reservoir or an injector.